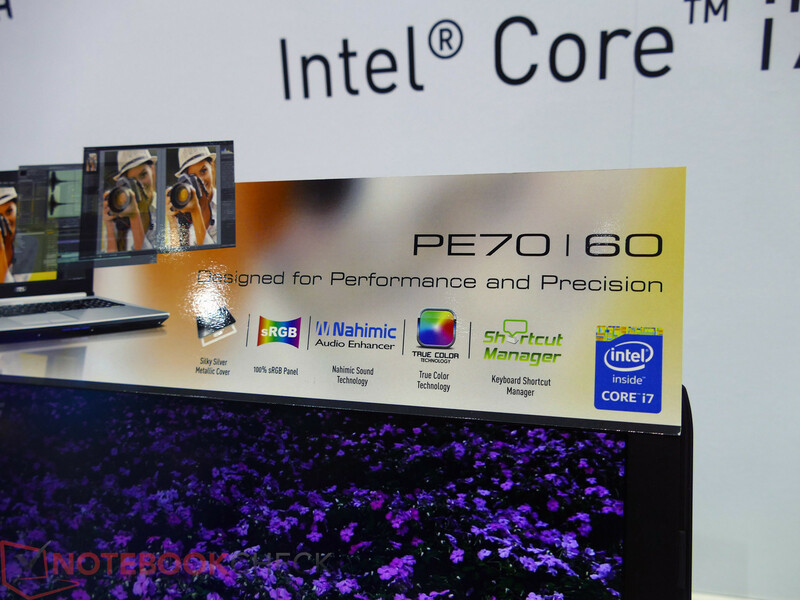 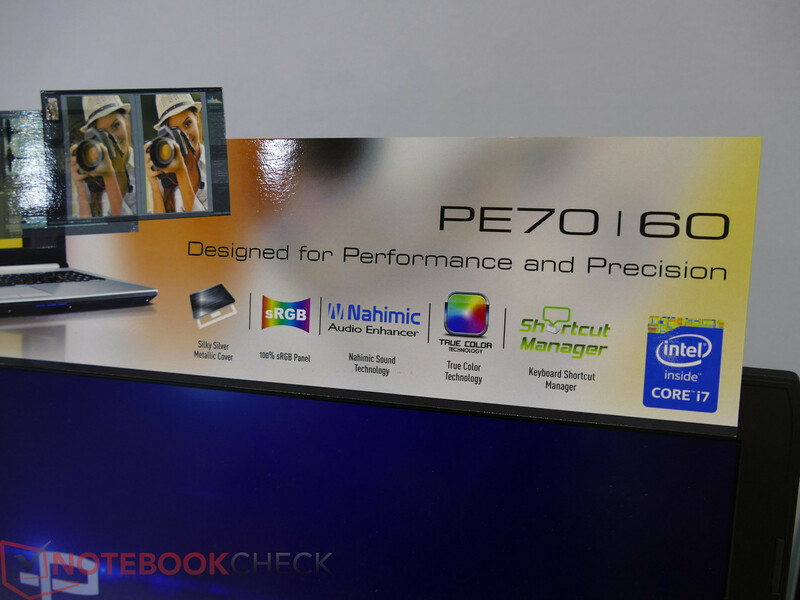 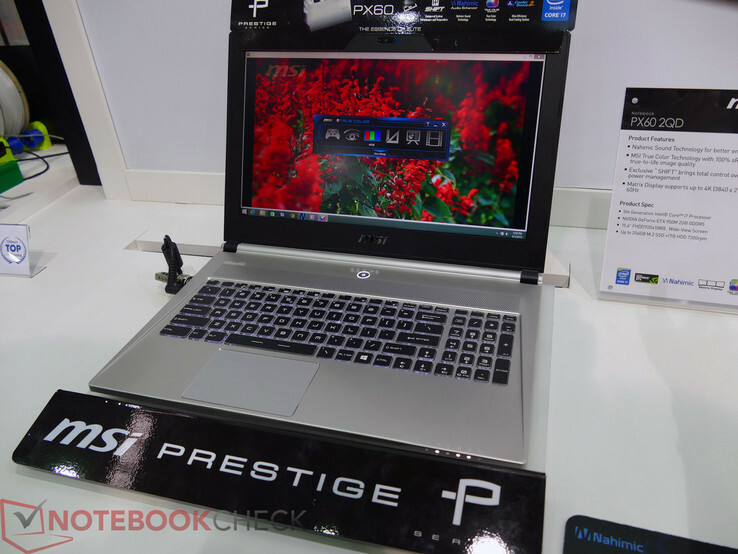 We take a closer look at the new PX60 "Prestige" model with high quality aluminum chassis and pre-calibrated display. 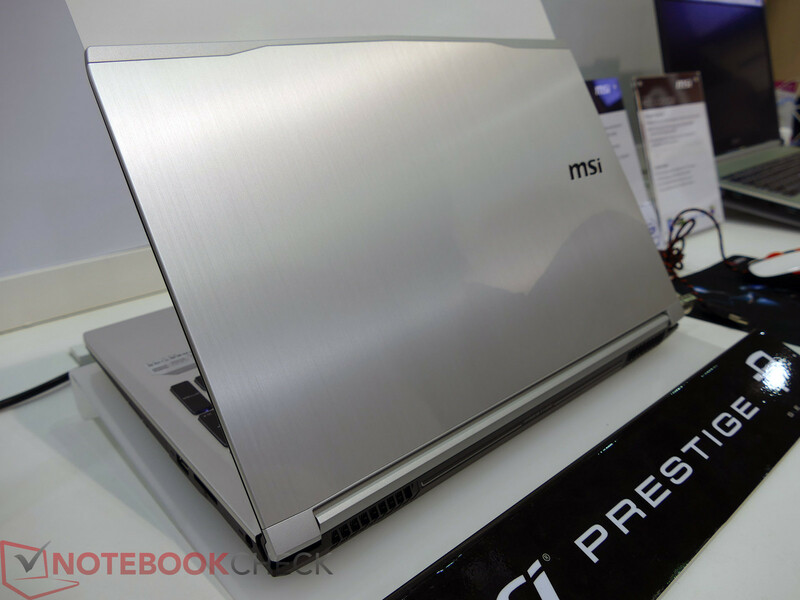 Well-known for its successful G Series of gaming notebooks, MSI is slowly catering more to the business sector with the reveal of the PX60. 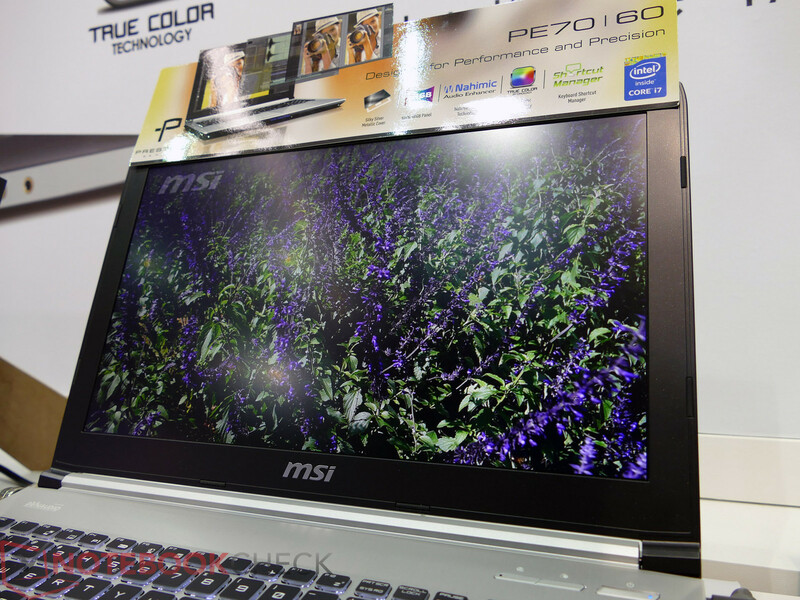 Like other Prestige models, the PX60 sports a True Color matte 1080p display and is pre-calibrated for the highest possible color accuracy. 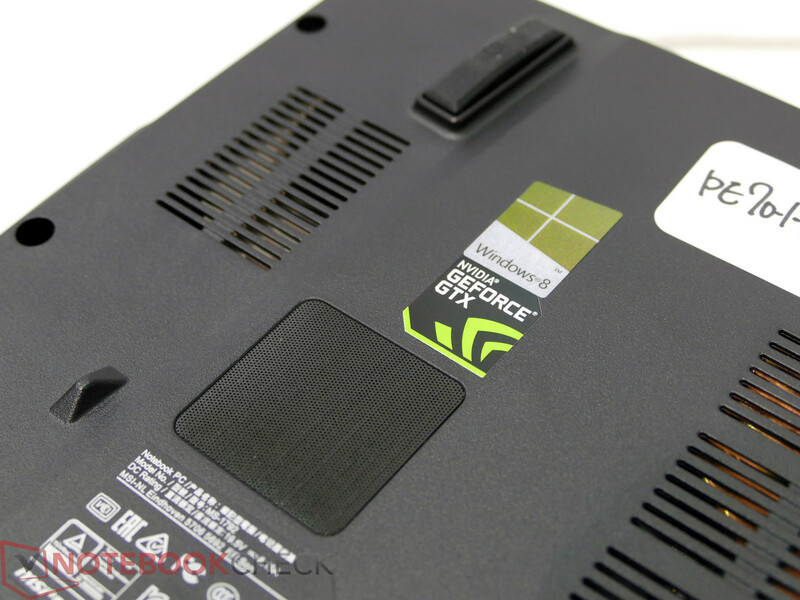 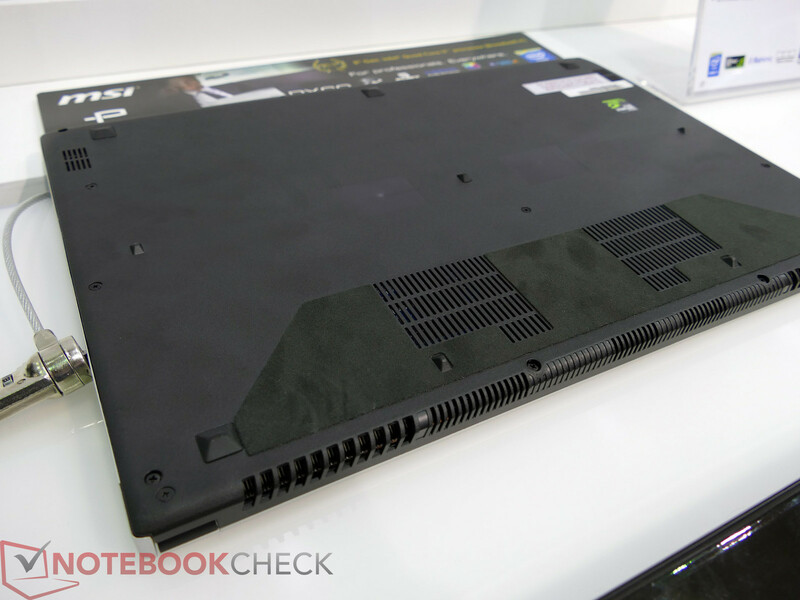 The new model is only 21 mm thick and 2.2 kg and is expected to ship with an Intel Core i7-5700HQ and Nvidia GTX 950M graphics. 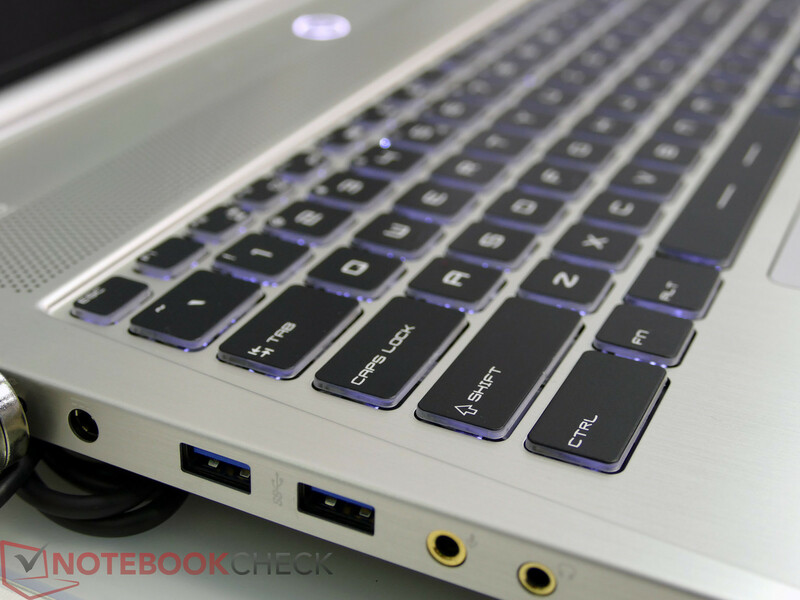 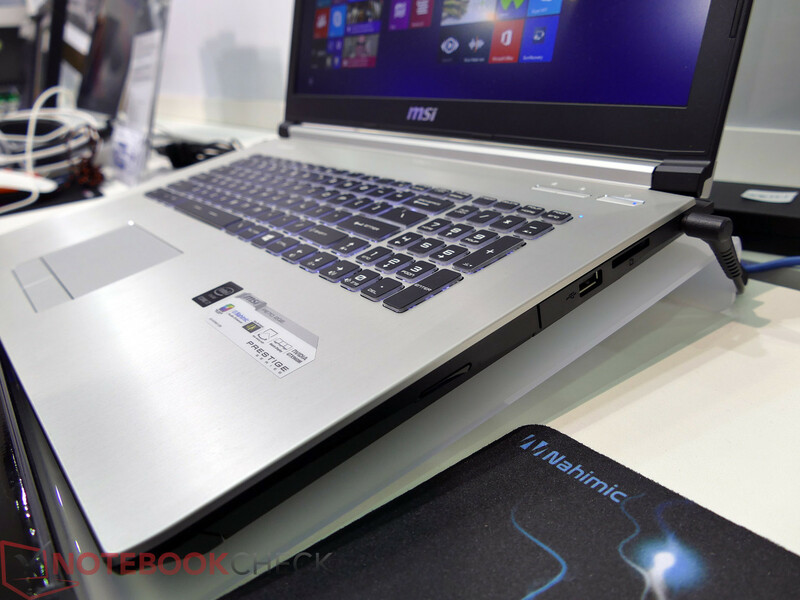 Users will also be able to configure the usual HDD/SSD and 8 GB/16 GB RAM options. 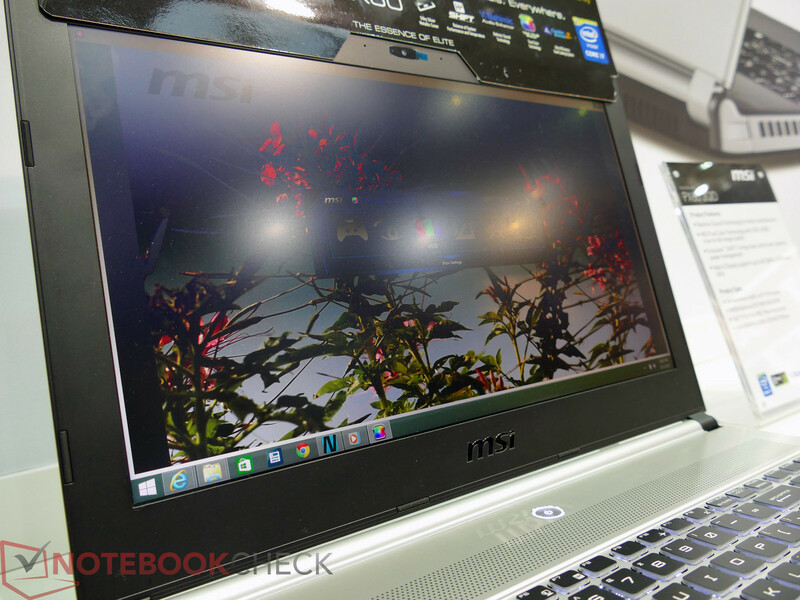 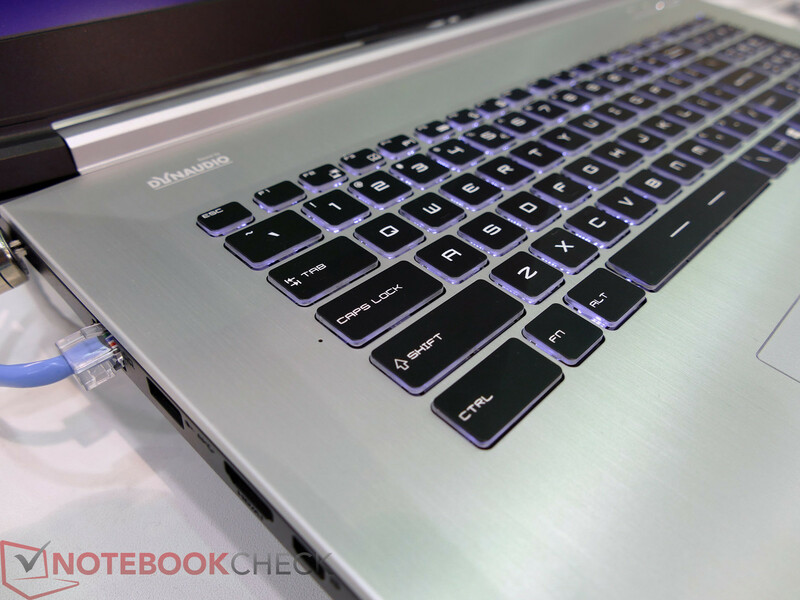 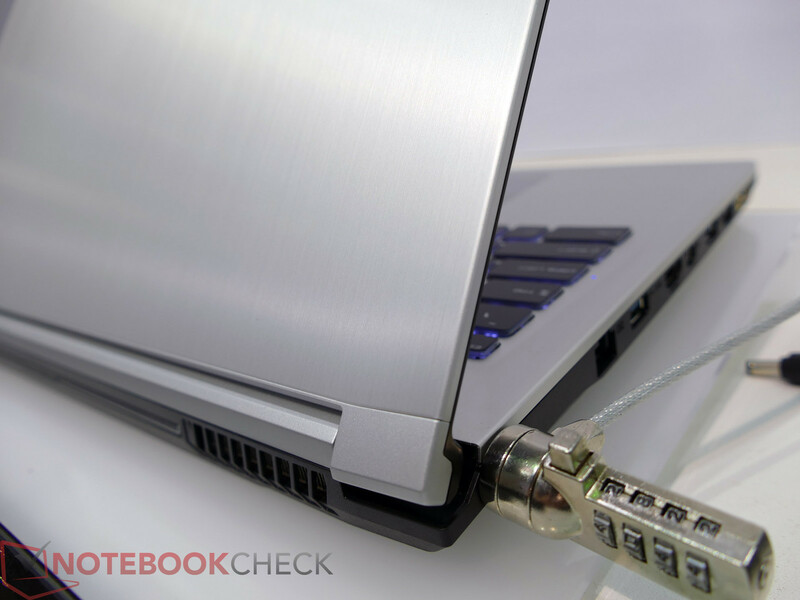 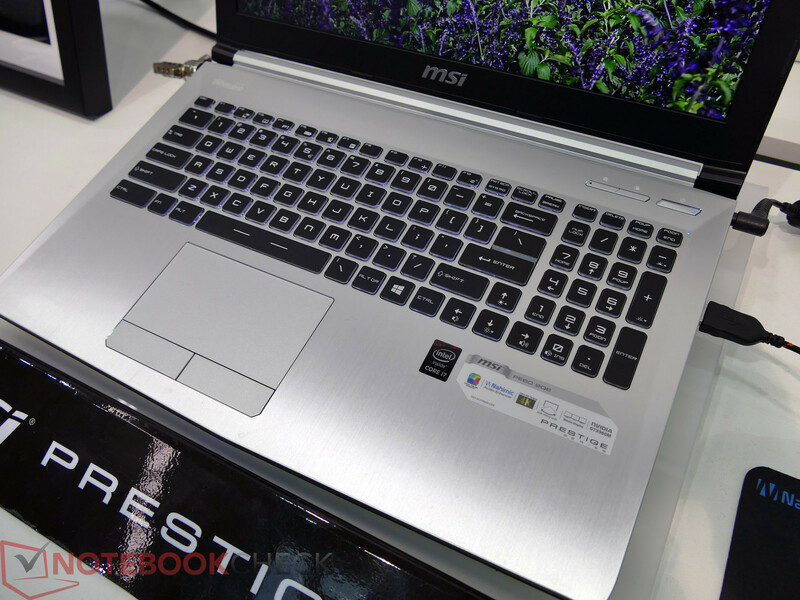 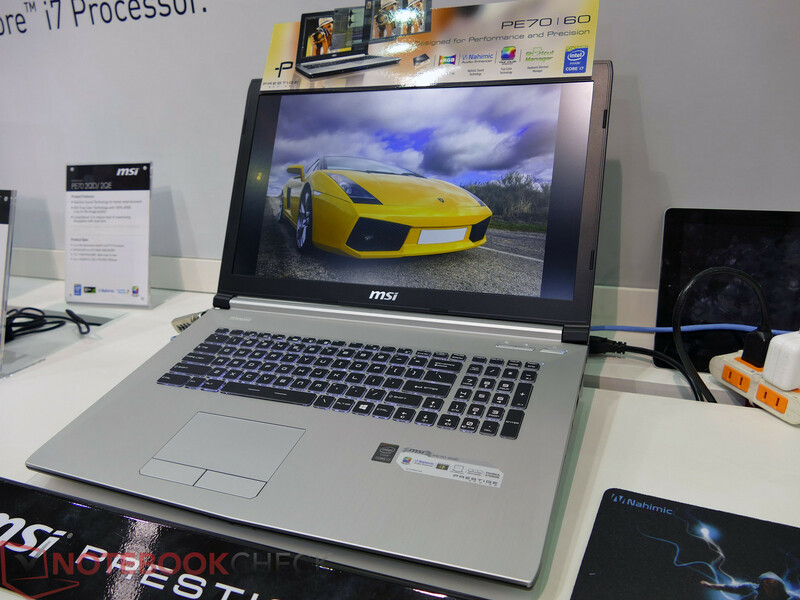 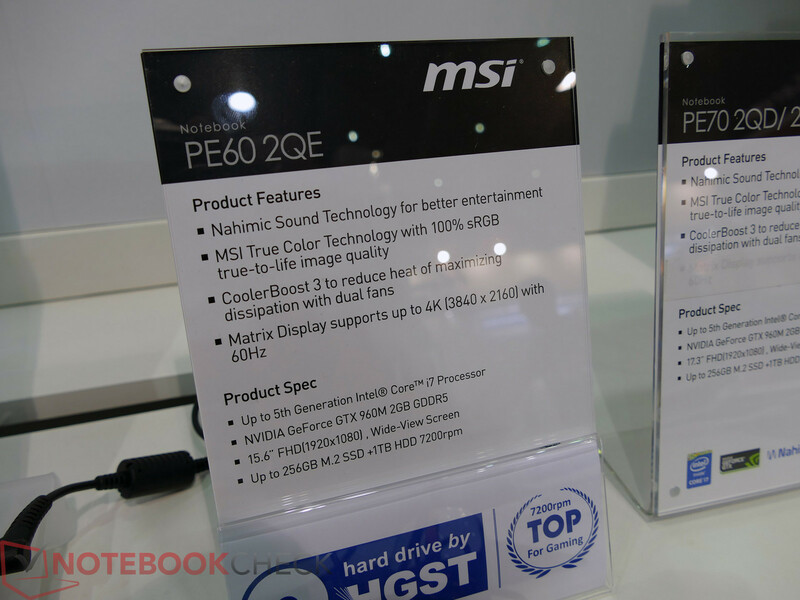 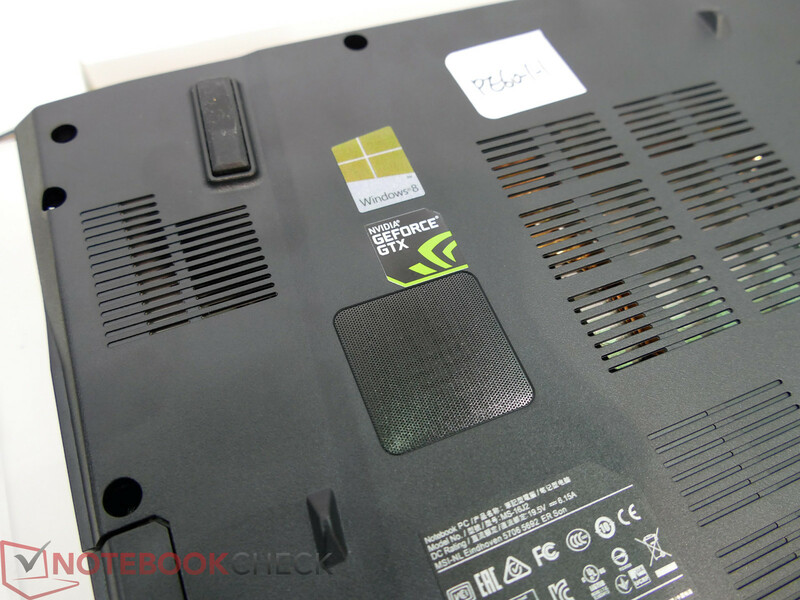 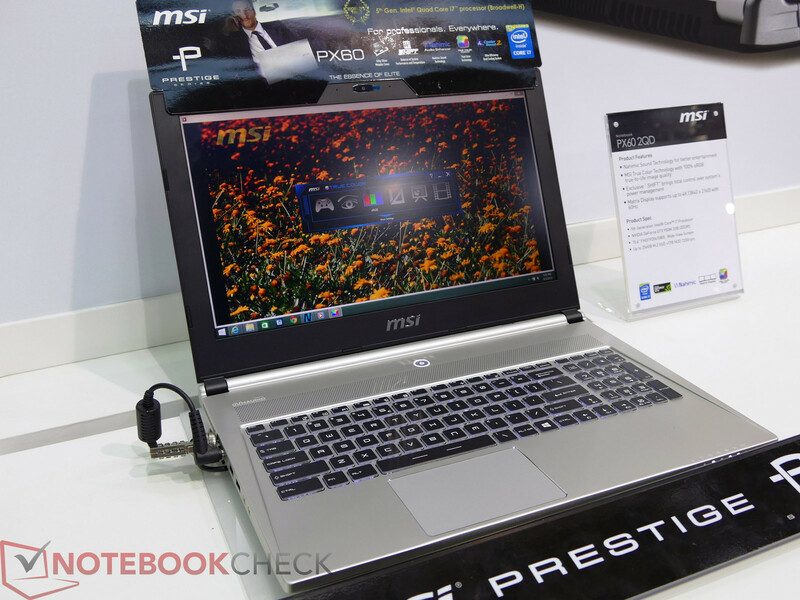 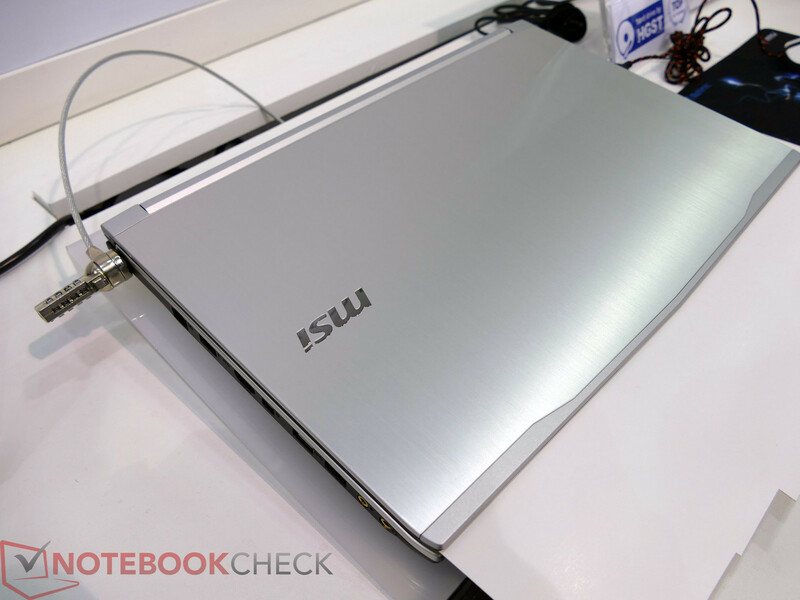 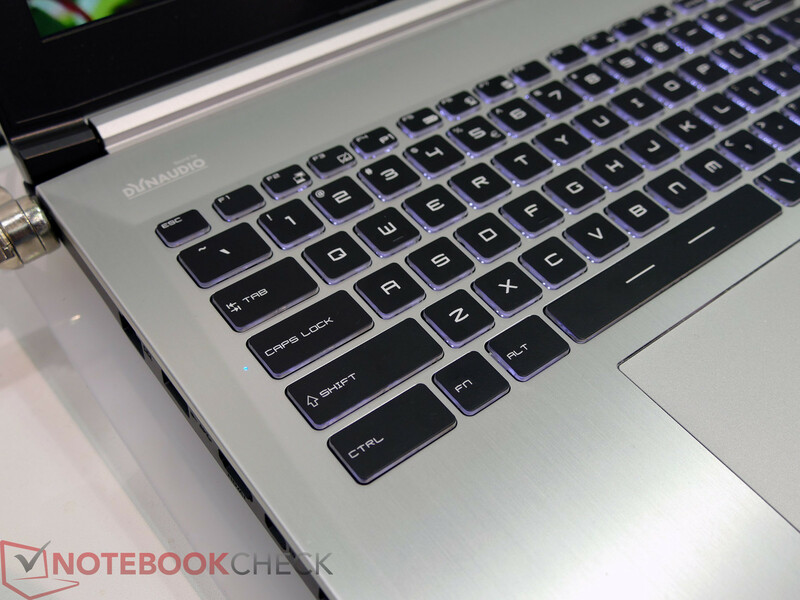 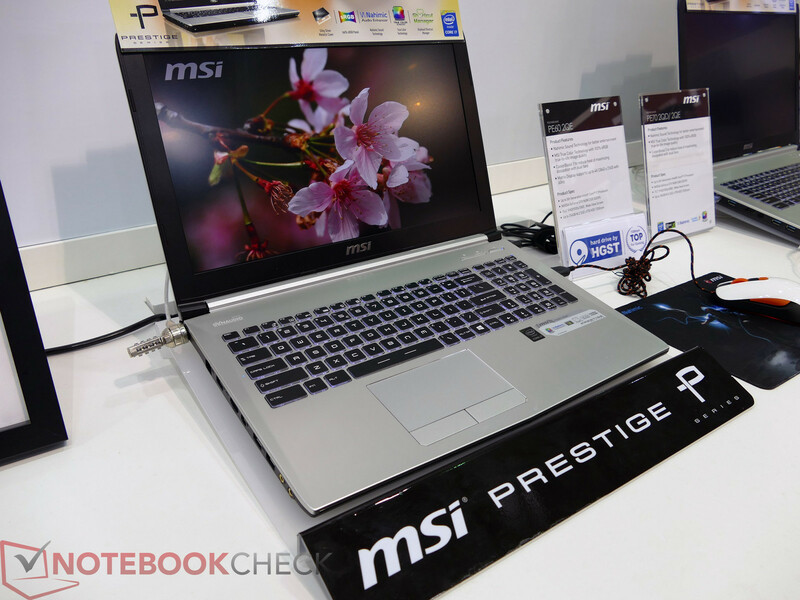 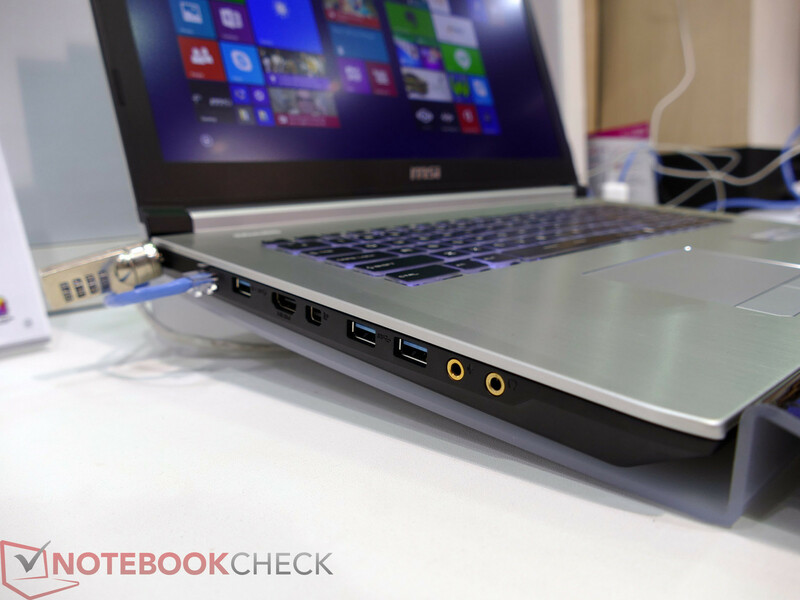 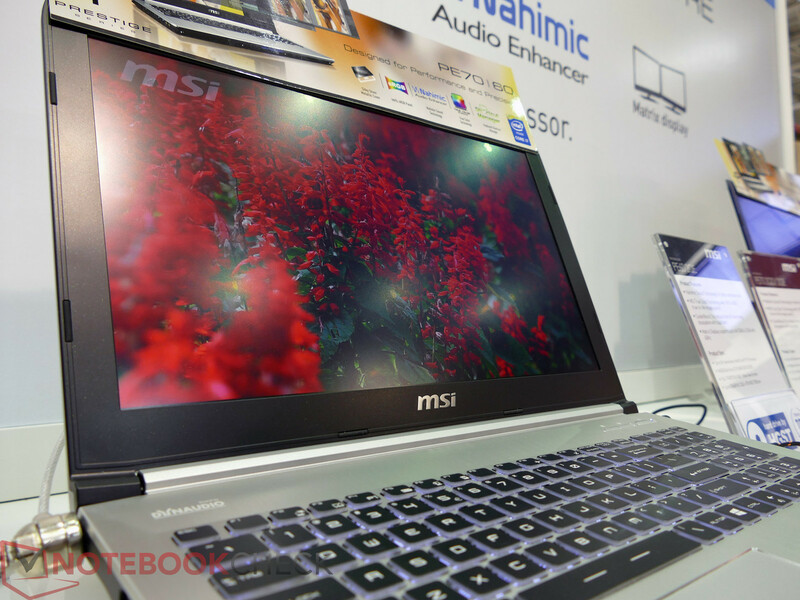 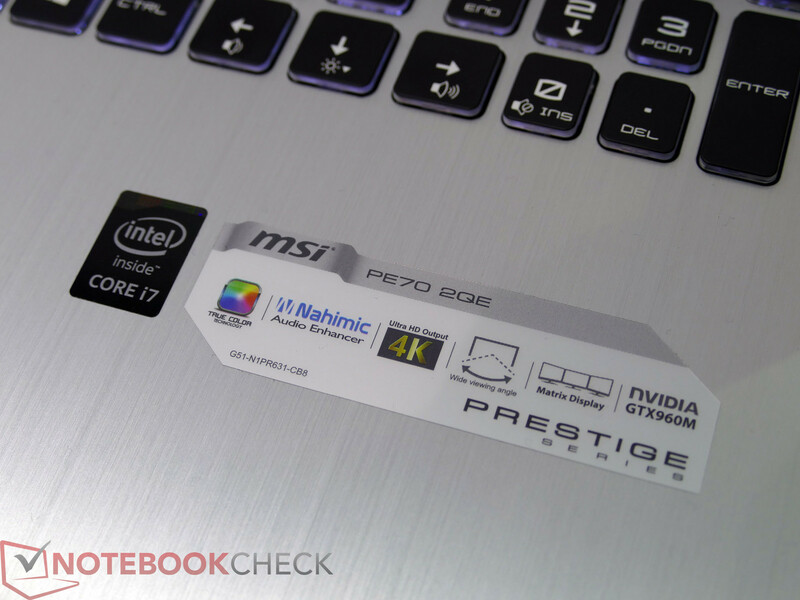 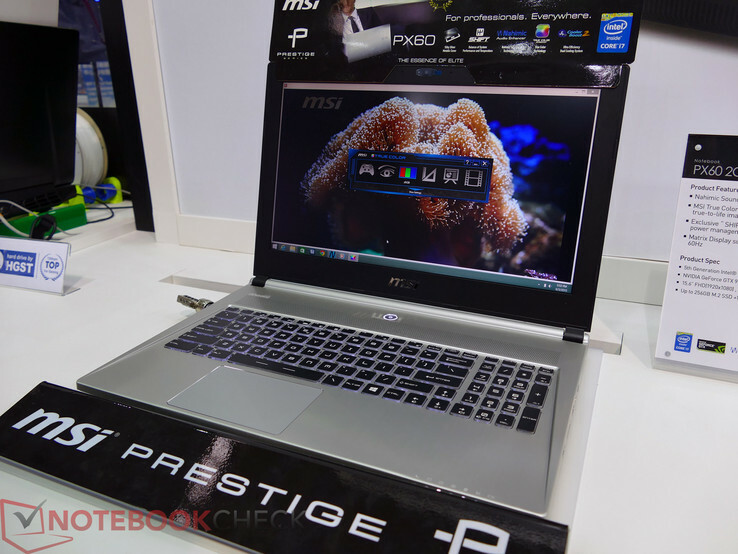 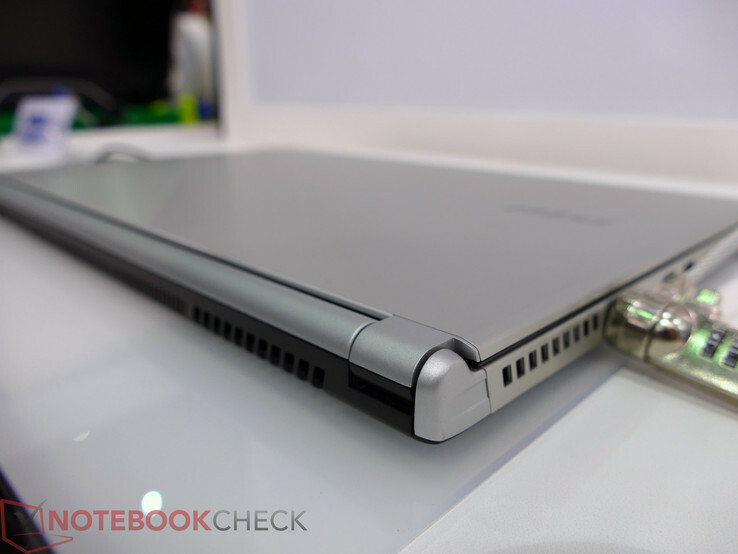 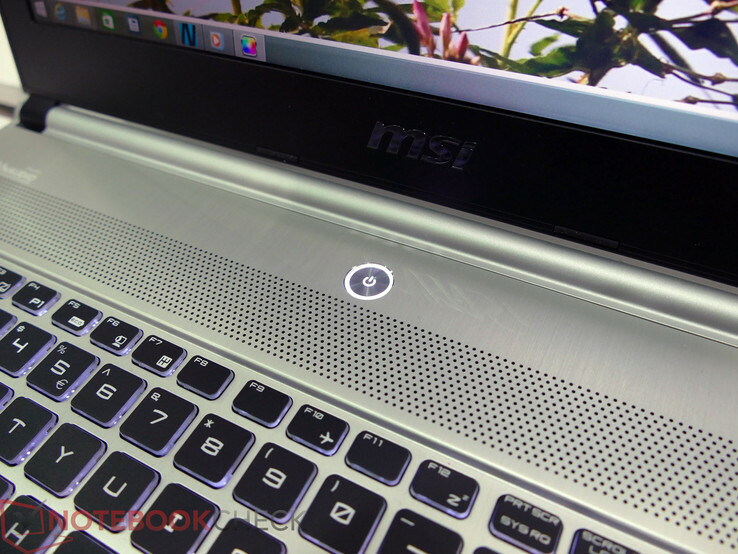 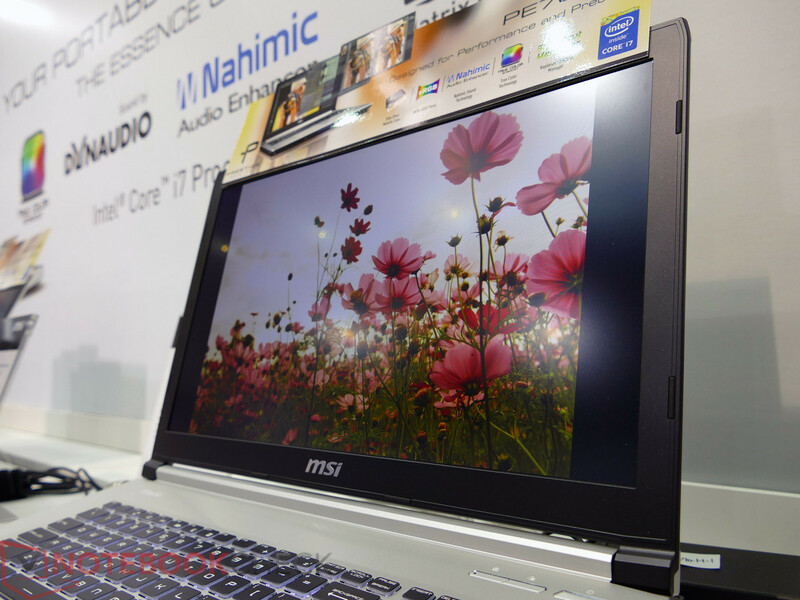 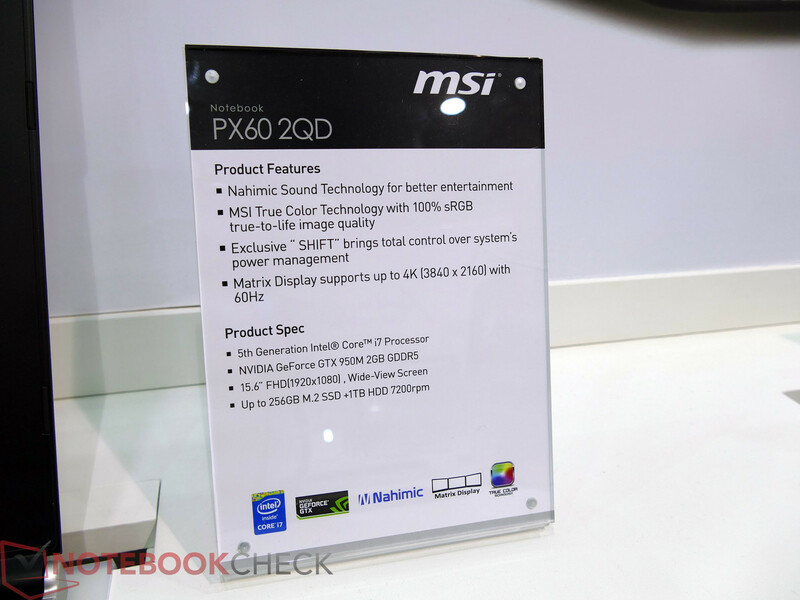 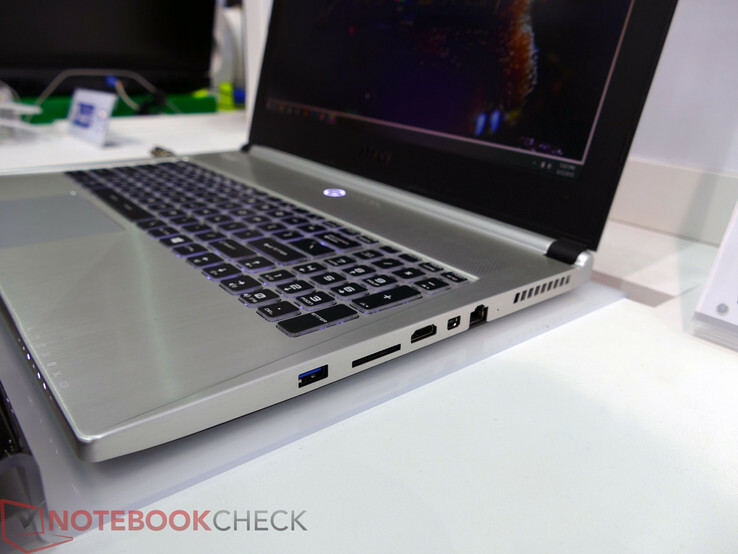 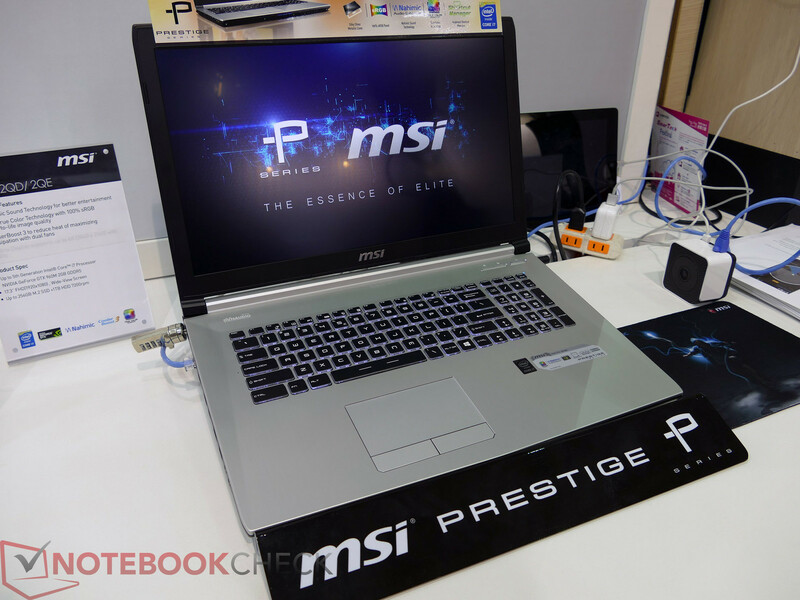 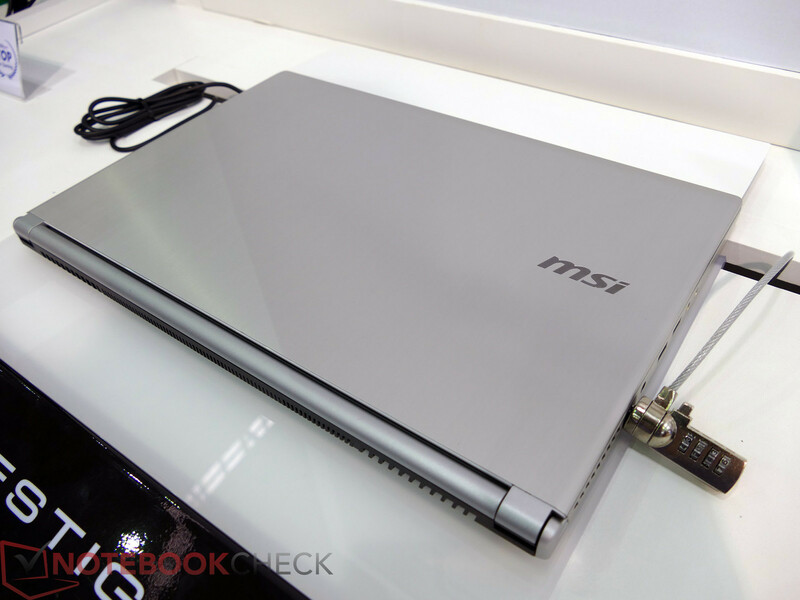 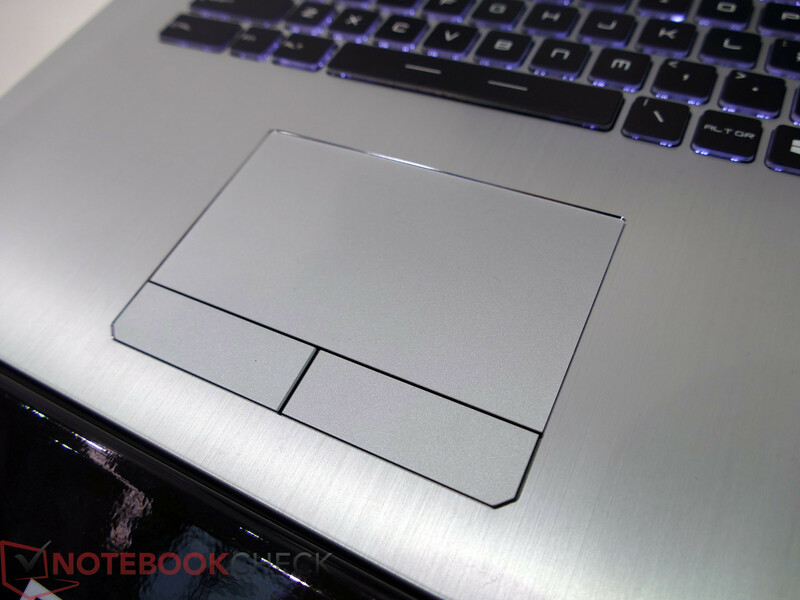 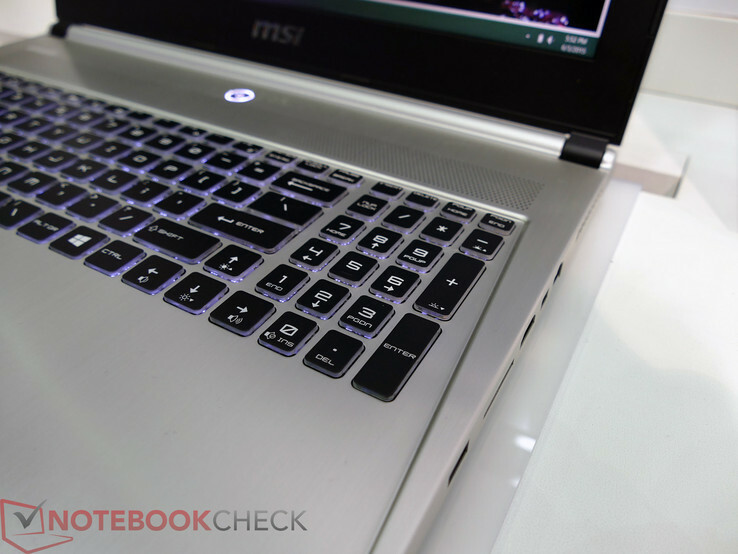 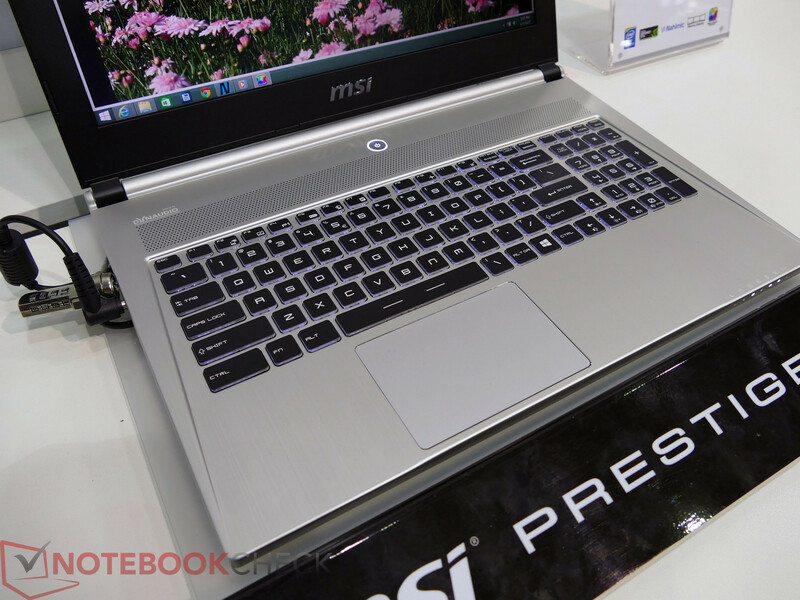 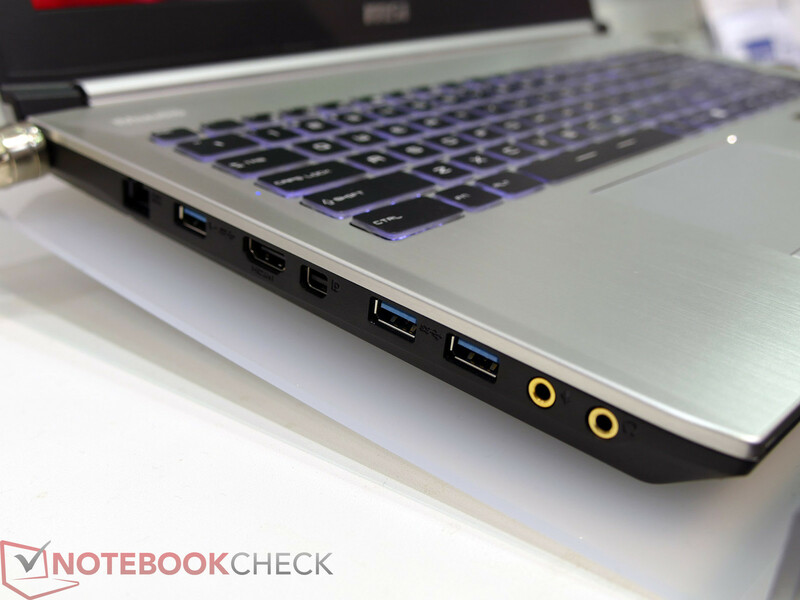 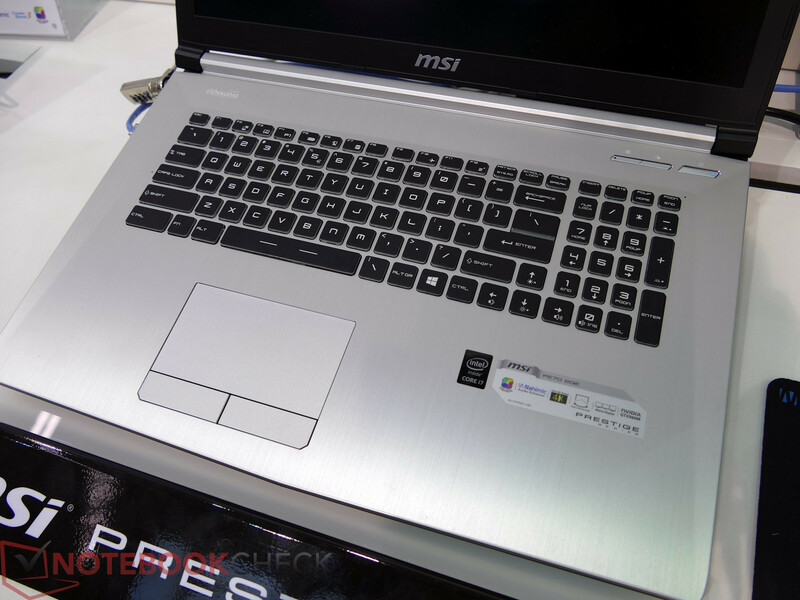 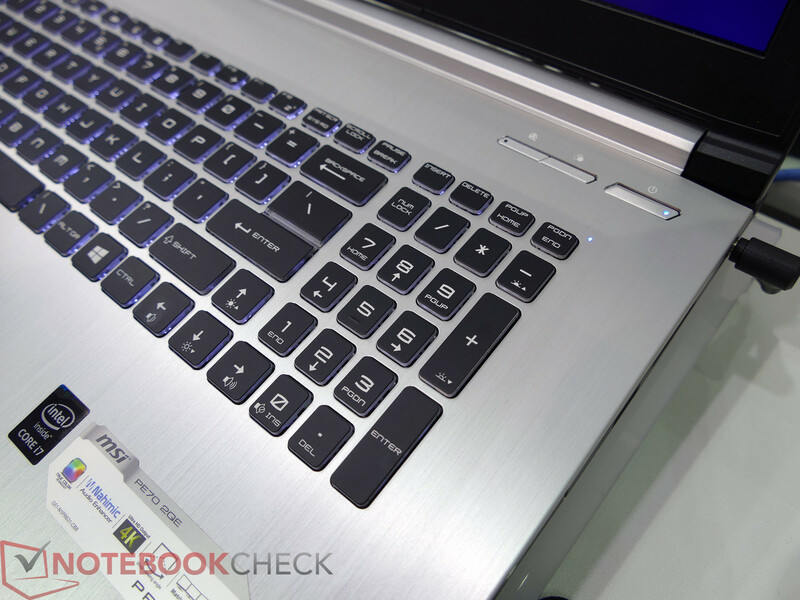 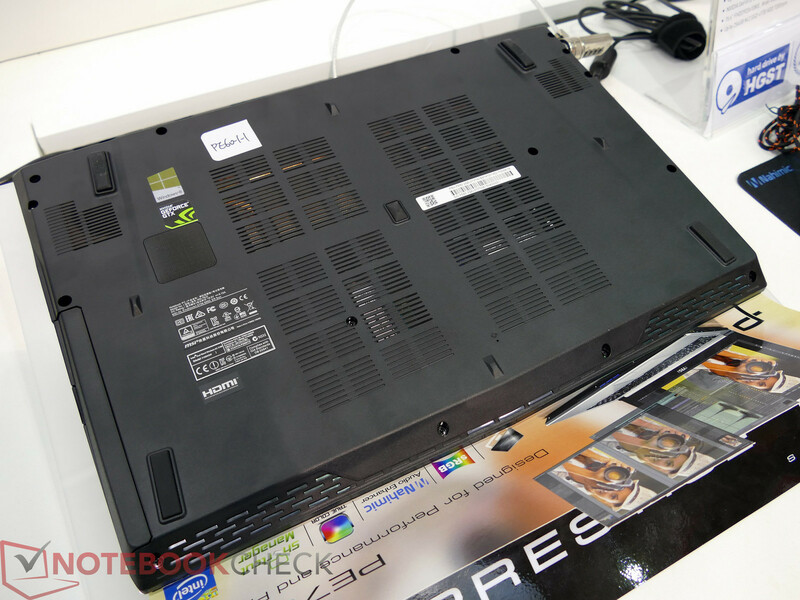 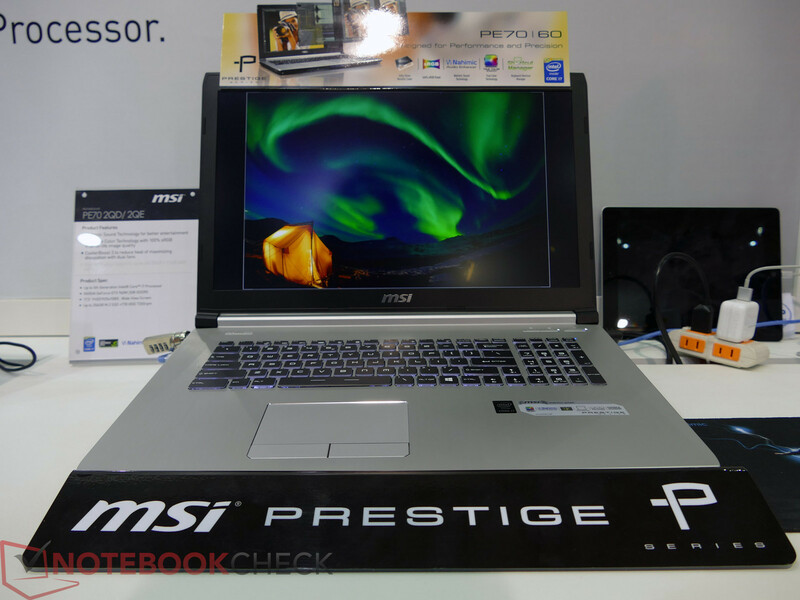 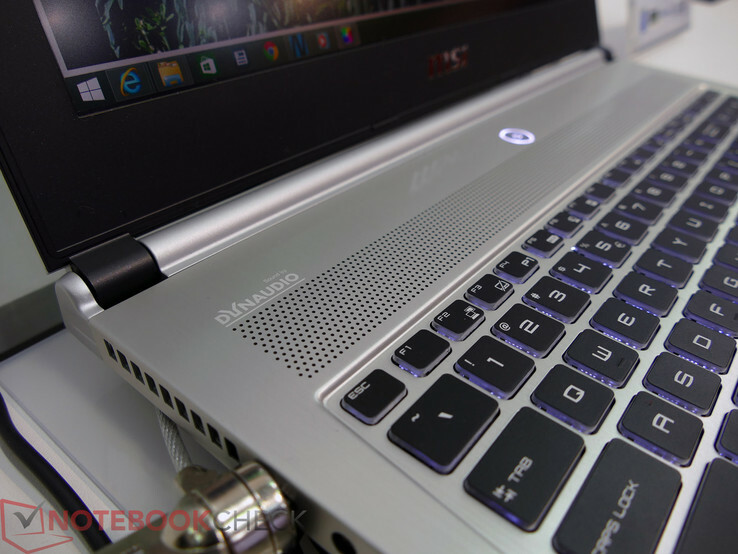 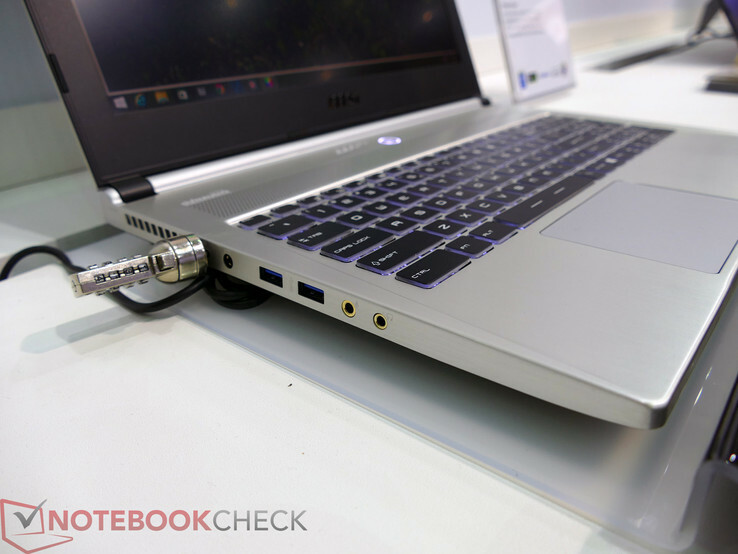 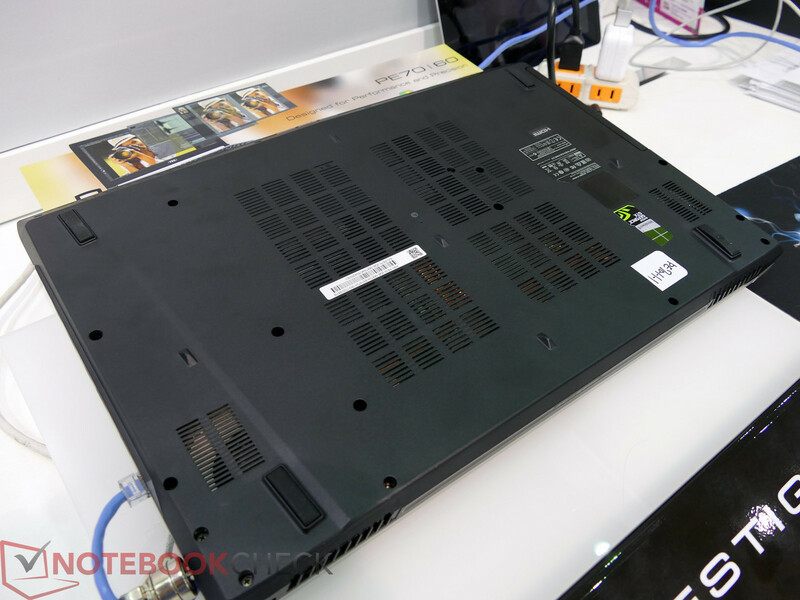 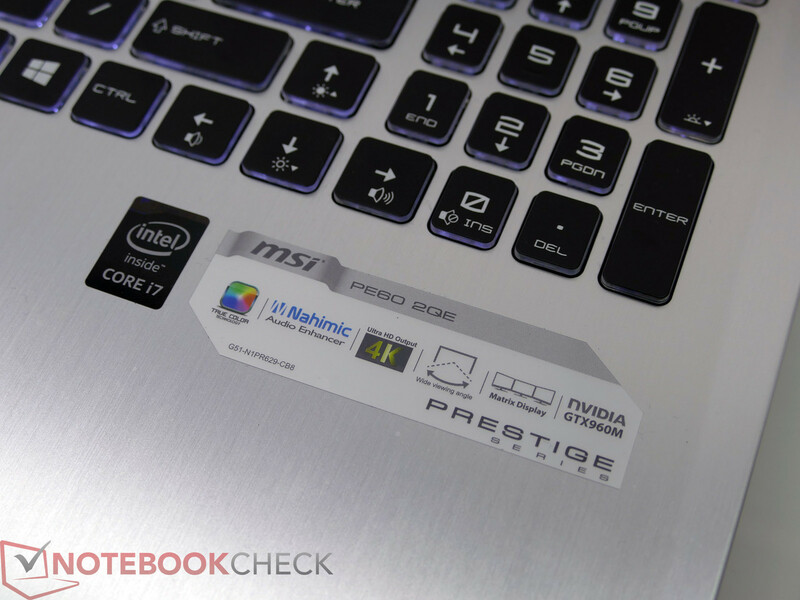 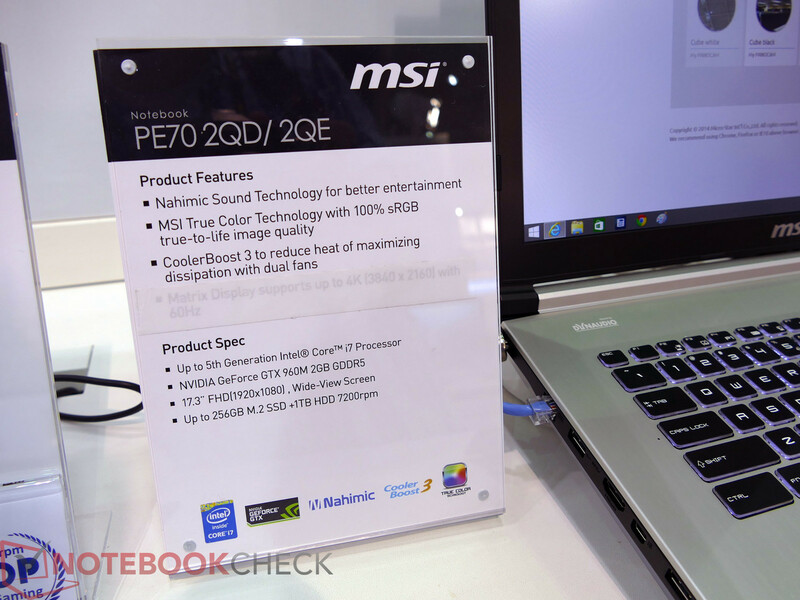 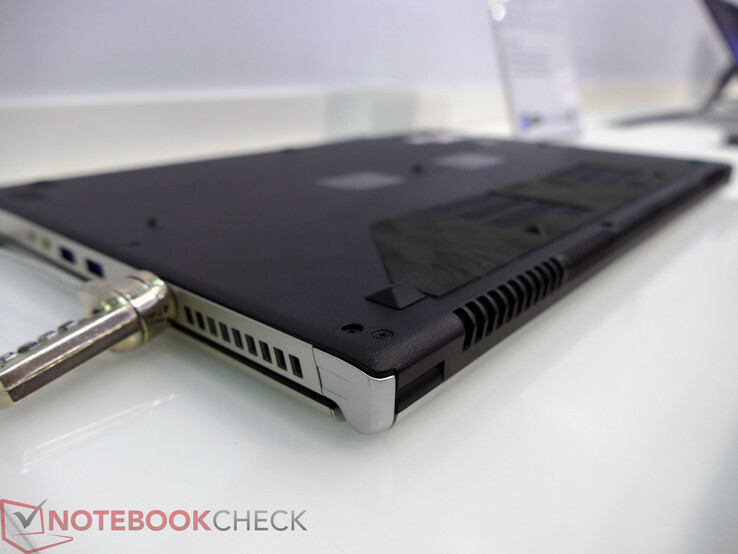 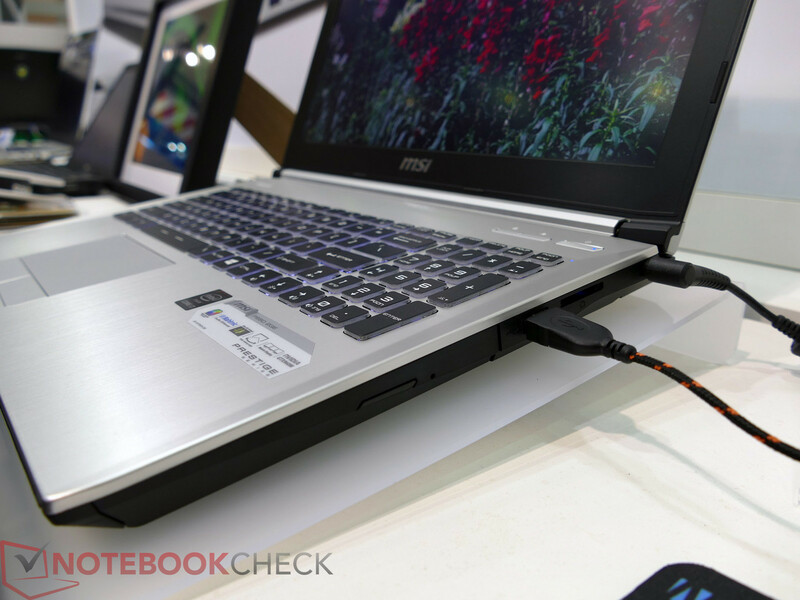 In addition, MSI had on show the previously revealed Prestige PE60 and PE70 notebooks with updated Intel Broadwell processors.